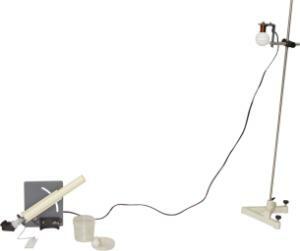 This apparatus illustrates the effect of gravity on projectile motion. 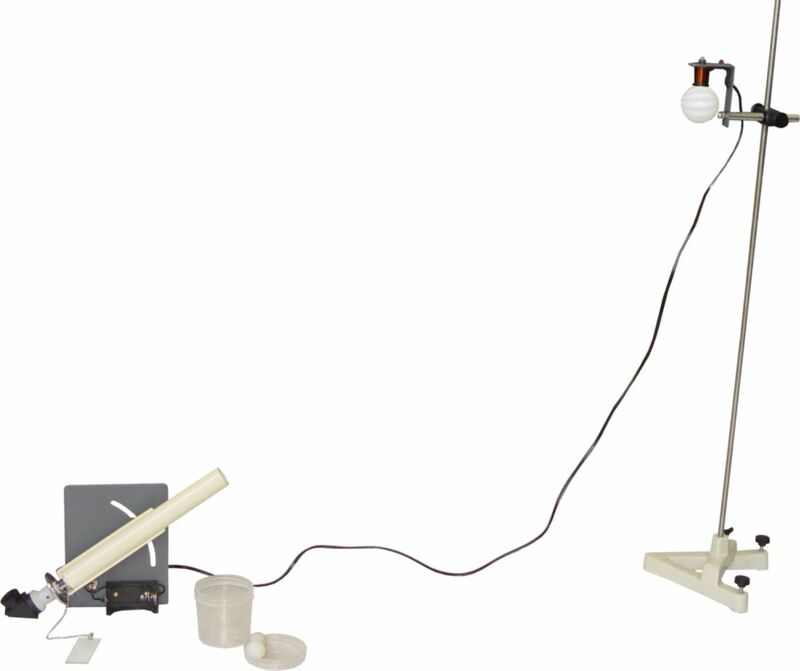 Using a tube equipped with a spring-loaded launching piston, students can aim at the “monkey”—a ball held in place by an electromagnet. When the projectile is fired, the electromagnetic circuit breaks. The trajectory is easily visible thanks to the large, bright parts. An angle mirror sight helps speed the aiming process. This unit includes a table-clamp mounting plate and can be used as a trajectory apparatus. Ordering information: This kit includes a launcher, electromagnetic free fall unit, two no. of projectile balls, angle mirror accessory, and instruction manual. A support stand and 1.5V battery is required.